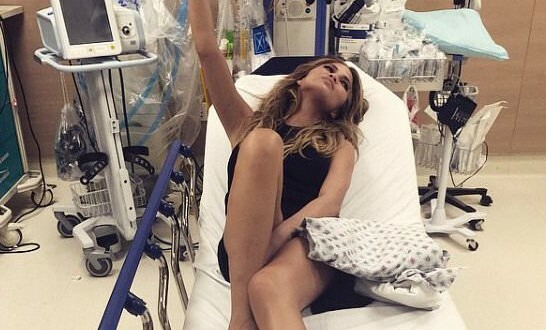 Chrissy Teigen was hospitalized Thursday, the model wound up needing medical attention after fracturing her foot in New York…and she was still wearing her glamorous black gown while lying on a hospital gurney. Chrissy Teigen had joined husband John Legend while he taped The Tonight Show. The crooner had been paired up with hip hop star Common – his co-collaborator for the Oscar nominated song “Glory” – as they did the Jimmy Fallon Lip Sync Battle. But afterwards something went wrong.